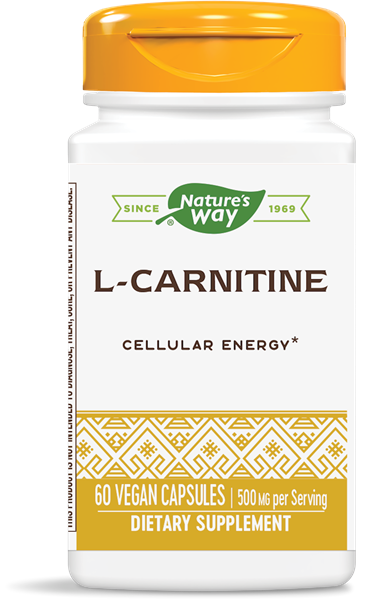 L-Carnitine / 60 Vcaps - Nature's Way®. Caution: Do not use if you have a seizure disorder or hypothyroidism. If pregnant, nursing or taking any medications, consult a healthcare professional before use.